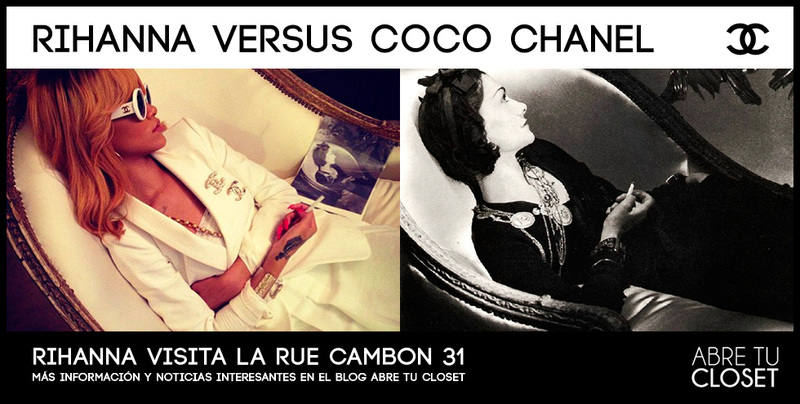 After her concert in Paris Rihanna visited one of the most iconic fashion places: The legendary studio - apartment of Coco Chanel in Rue Cambon in Paris. Rihanna used the occasion to version some of the best known of the designer who did not hesitate to show the photos on her instagram quickly. Accompanied by Laetitia Crahay, designer signature enjoyed discovering some new designs from the brand, as the "lego" clutch or posing with rabbit ears lace Maison Michel for Chanel. Making constant reminders of the history of French fashion house, apartment keys posted nº 5, which inspired the name of the most famous perfume world and without which Marilyn could not go to sleep. Rihana fan of signature and it shows in many occasions, For when a campaign for Riri Chanel?